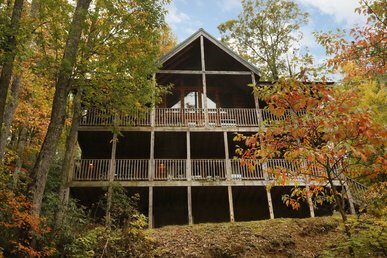 Adventure Lodge is a wonderful, private getaway, perfect your next family vacation. 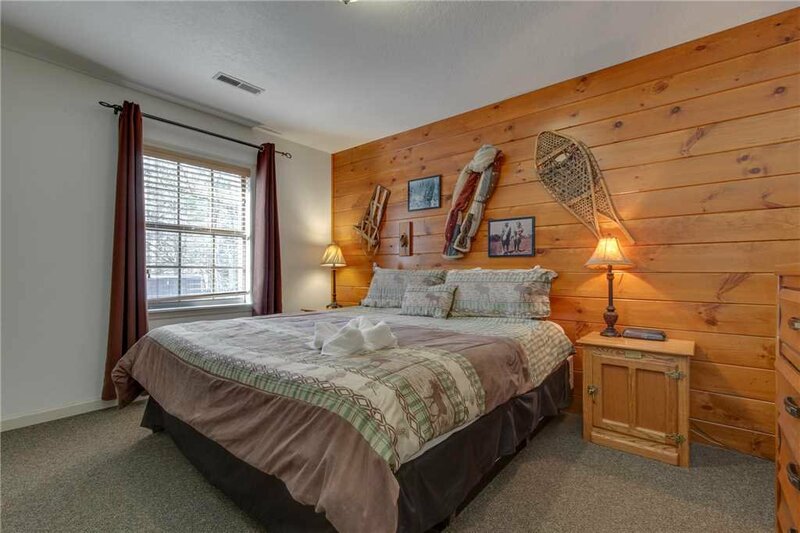 Suited to sleep eighteen people, Adventure Lodge provides all the comforts of home without the crowds or waiting that you have at hotels. 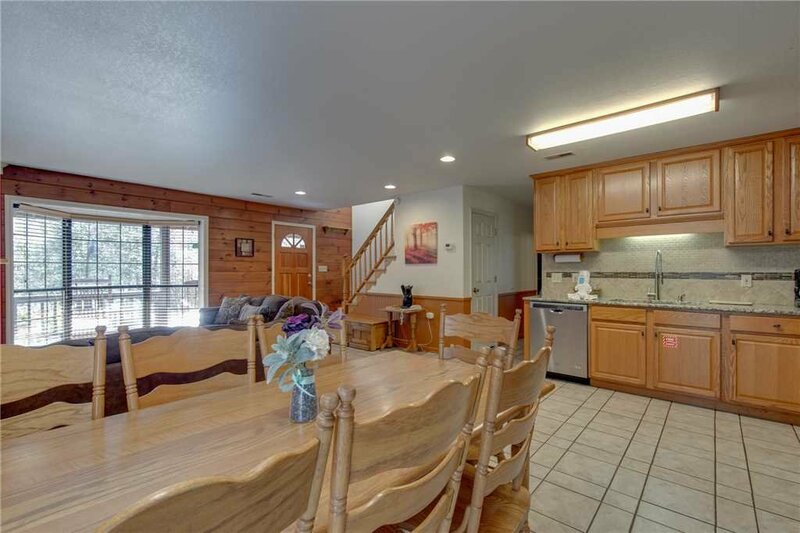 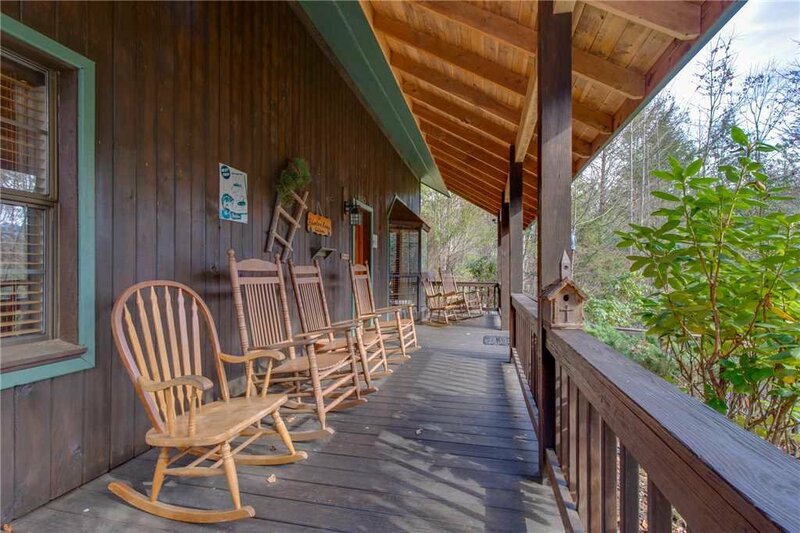 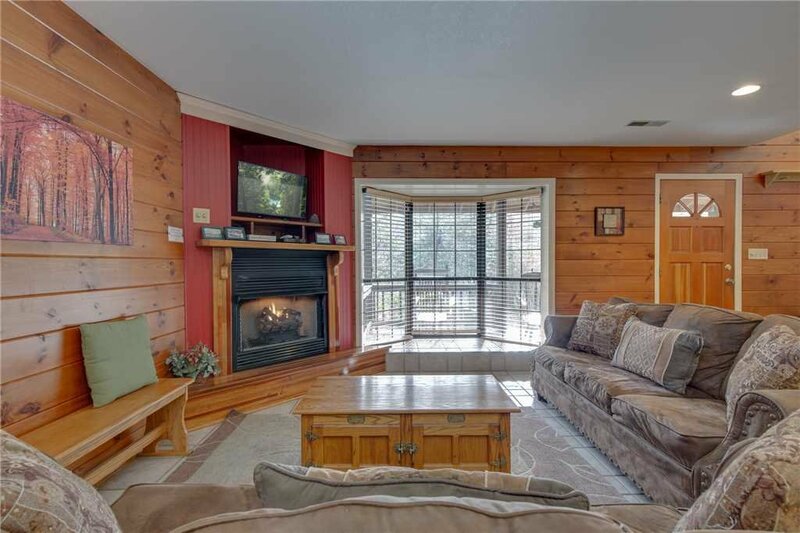 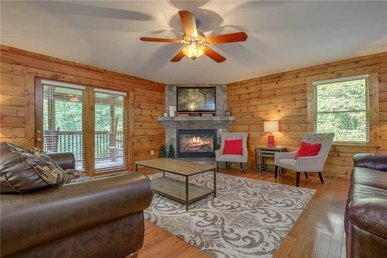 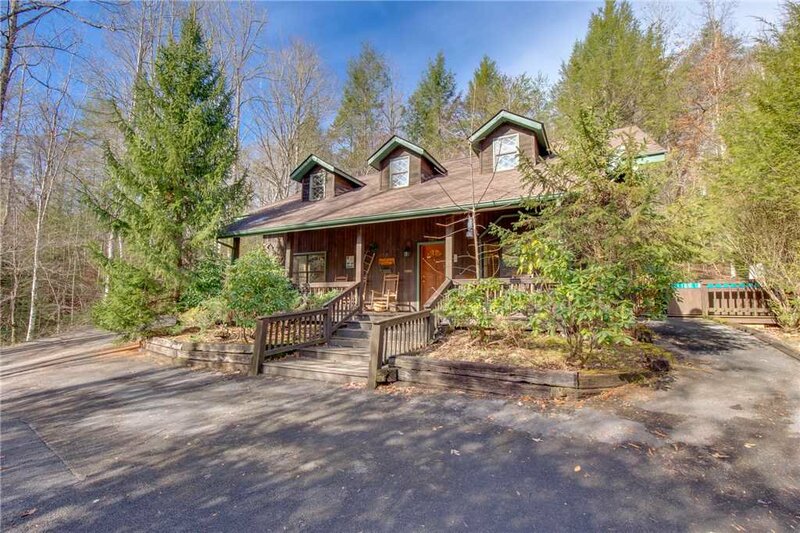 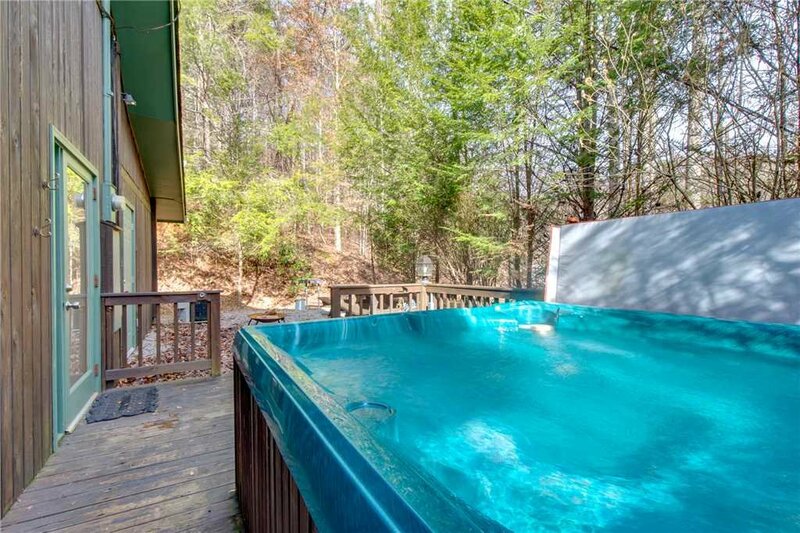 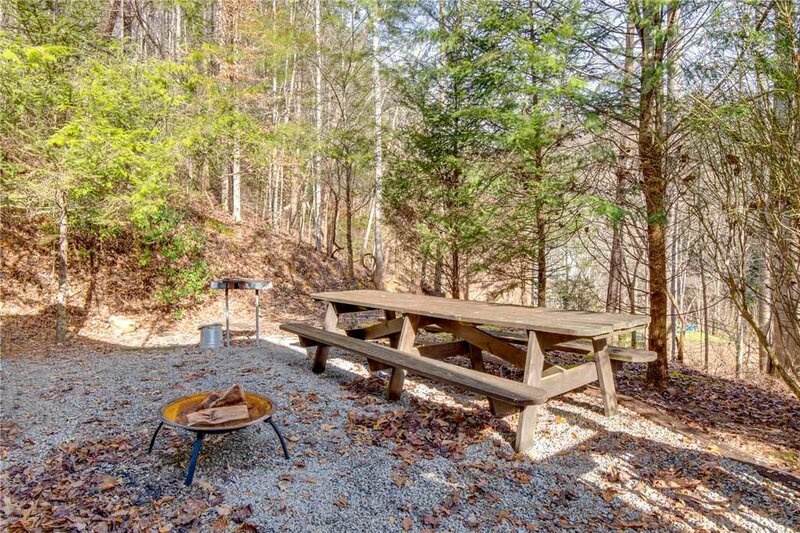 Close to downtown Gatlinburg, Tennessee, the gateway city to the Great Smoky Mountains, you and your family or guests will love this vacation home and all the amenities that are exclusive to you when you reserve your stay at Adventure Lodge. 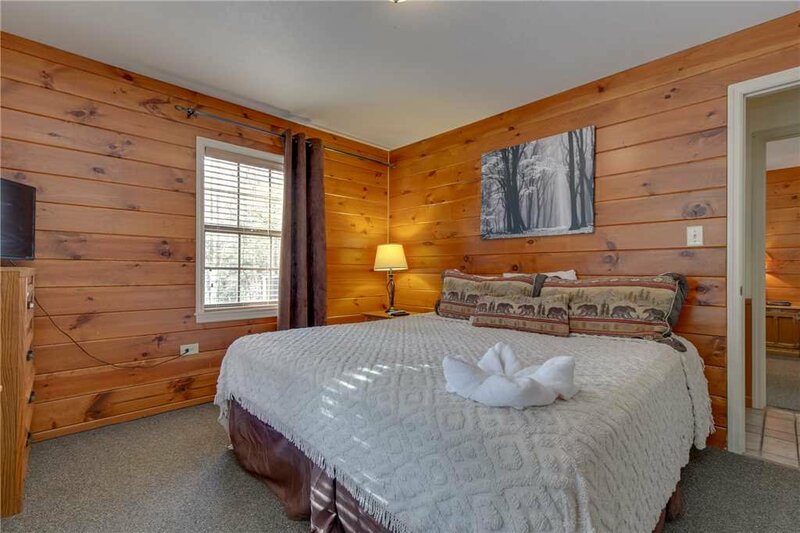 Gatlinburg hosts a variety of adult and children focused entertainment and amusement parks year round, from skiing at Ober Gatlinburg Ski Area and Amusement Park in the winter, to golfing and trophy fishing in the summer, everyone will enjoy their stay in Gatlinburg and Adventure Lodge. 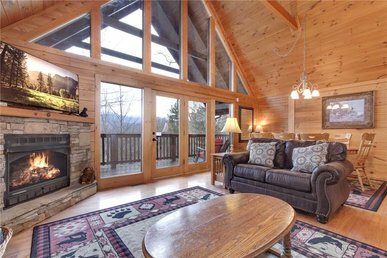 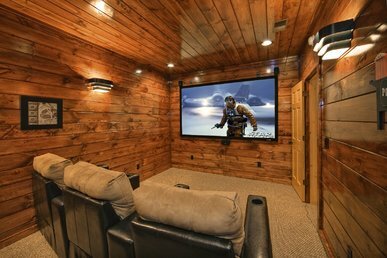 The Gatlinburg Sky Lift will provide a breathtaking view of the surrounding Smoky Mountains, and Adventure Lodge is waiting for you and your guests nightly. 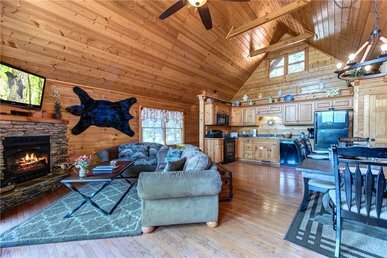 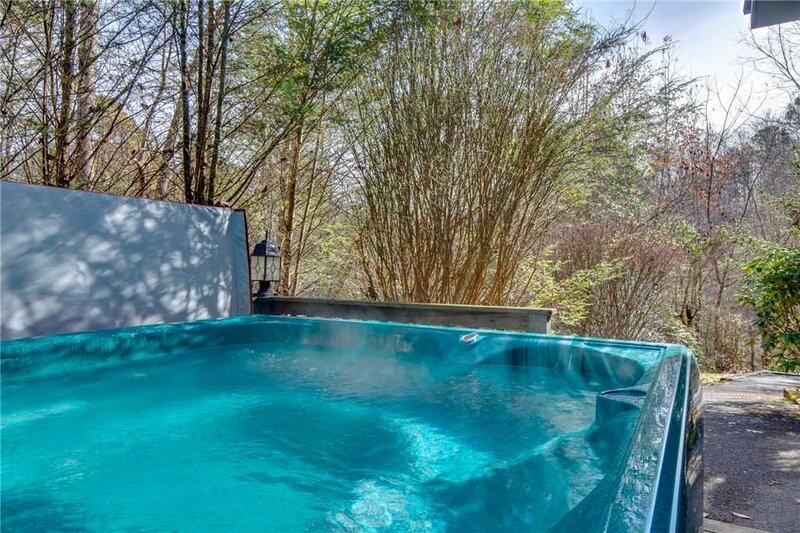 Adventure Lodge accommodates eighteen guests and is equipped with all the modern conveniences for the best vacation package that no hotel stay can compare. 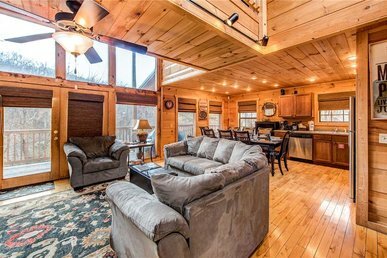 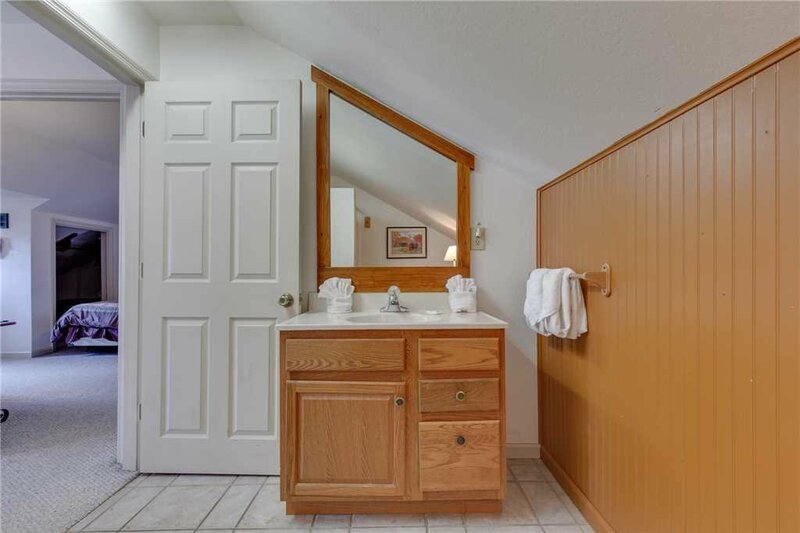 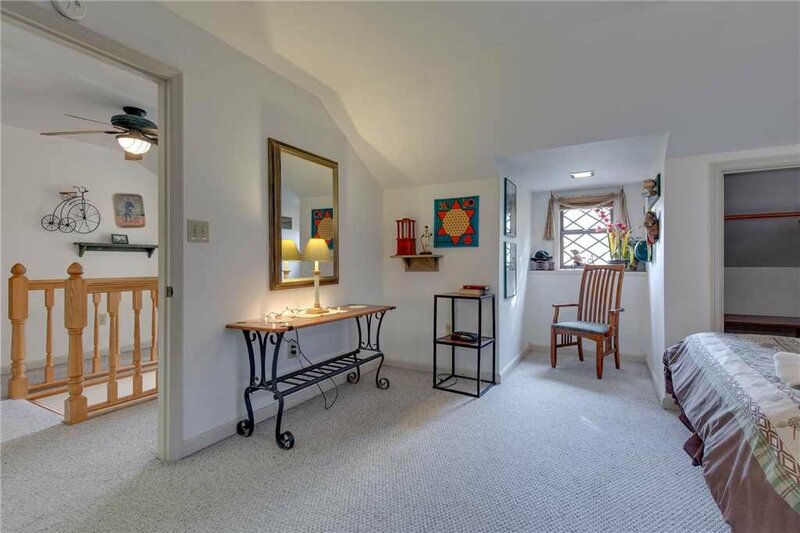 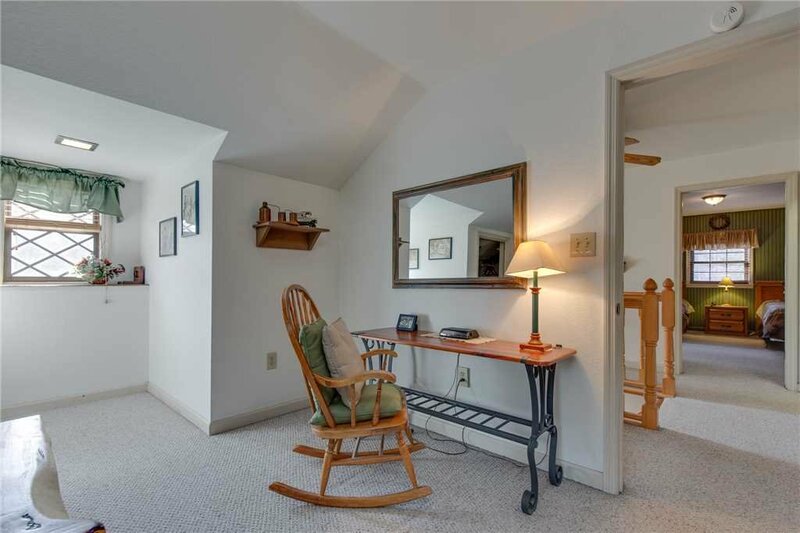 You will love the spacious interior and rustic designs. 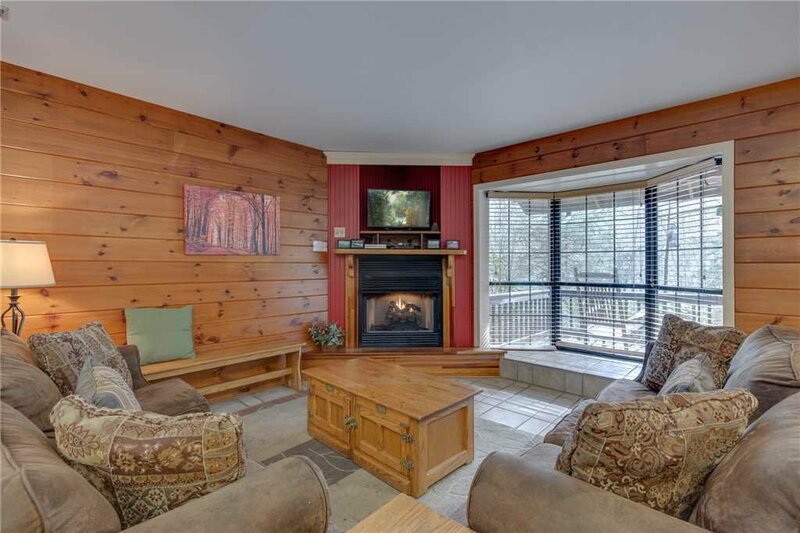 The décor is traditional Gatlinburg style, and Adventure Lodge has satellite television and free Wi-Fi with your stay. 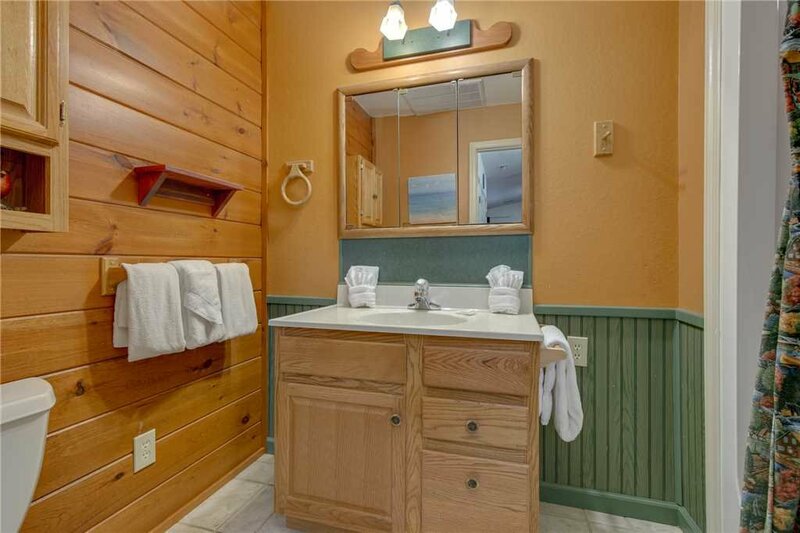 Adventure Lodge is fully stocked for your convenience. 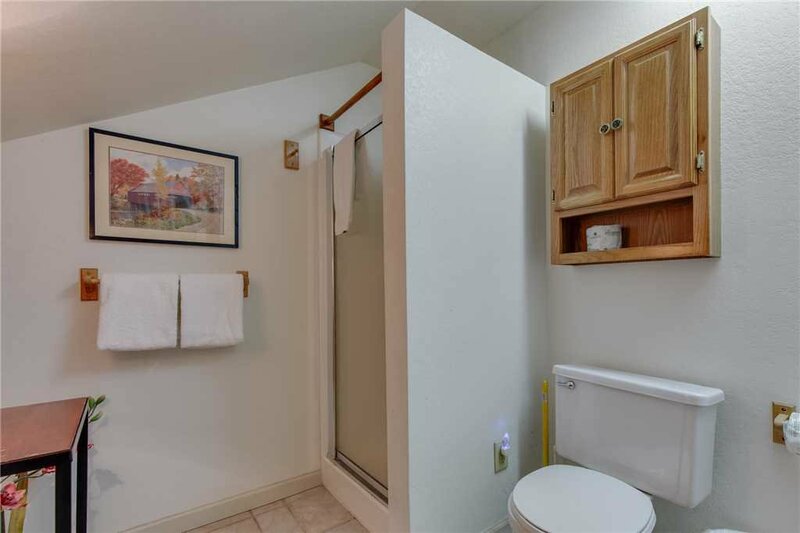 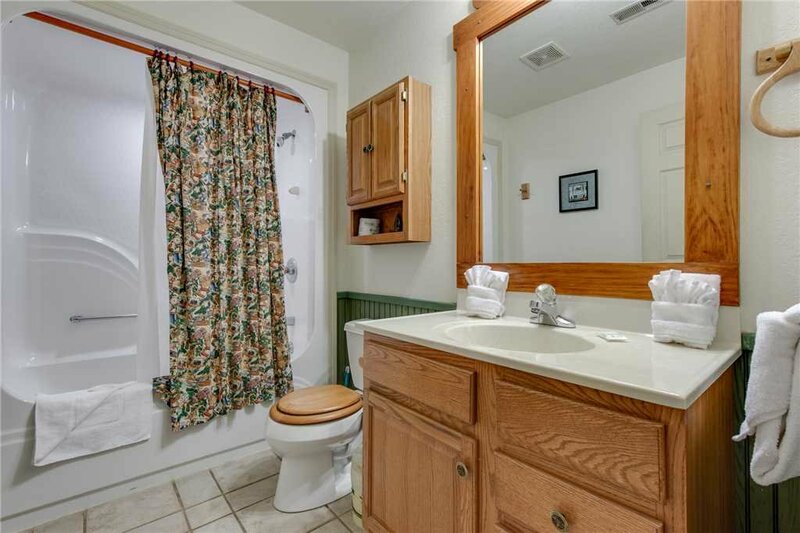 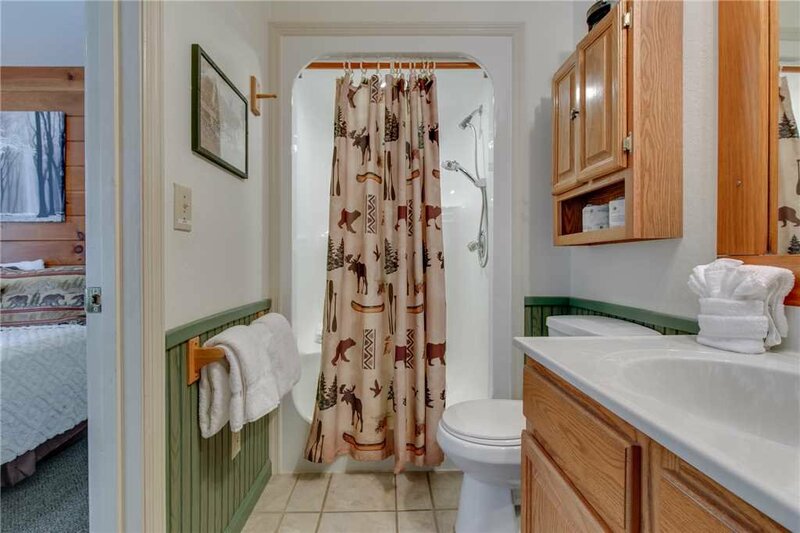 There are enough linen and towels for your guests. 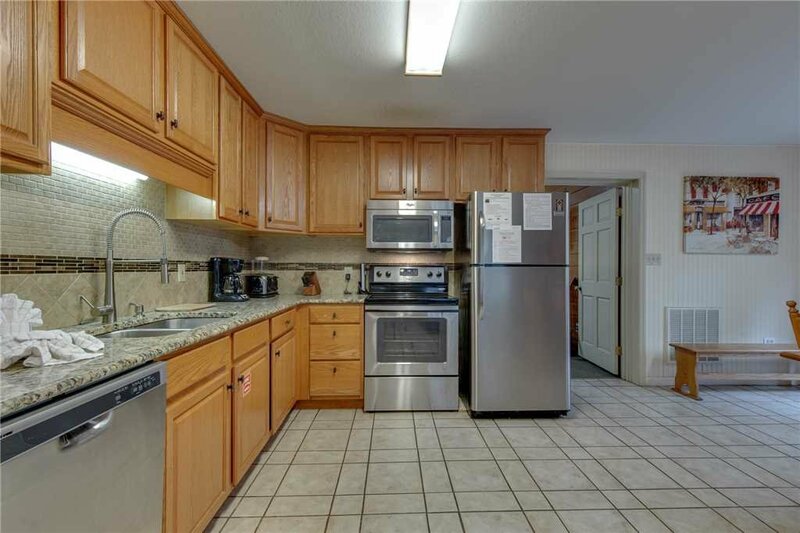 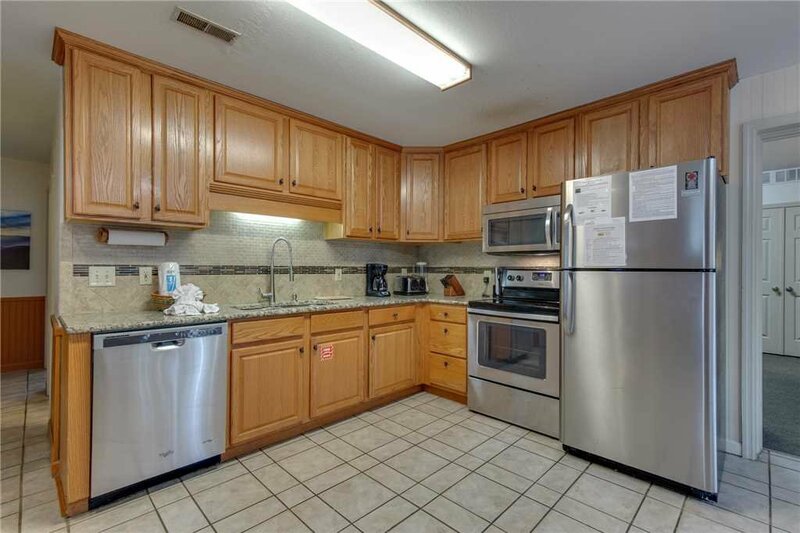 The kitchen has everything you would want including a microwave, toaster, coffee maker, and dishwasher. 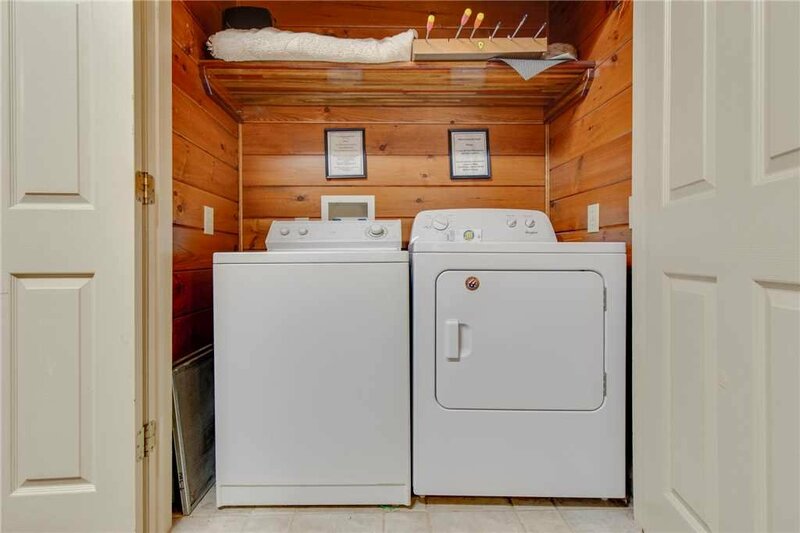 Adventure Lodge even has a full-sized washer and dryer so you and your guests can pack light and don’t have to worry about laundry service while on vacation. 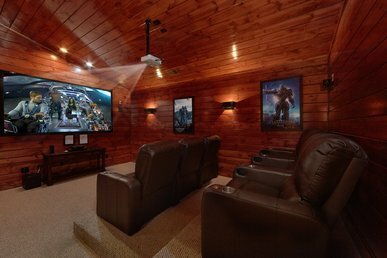 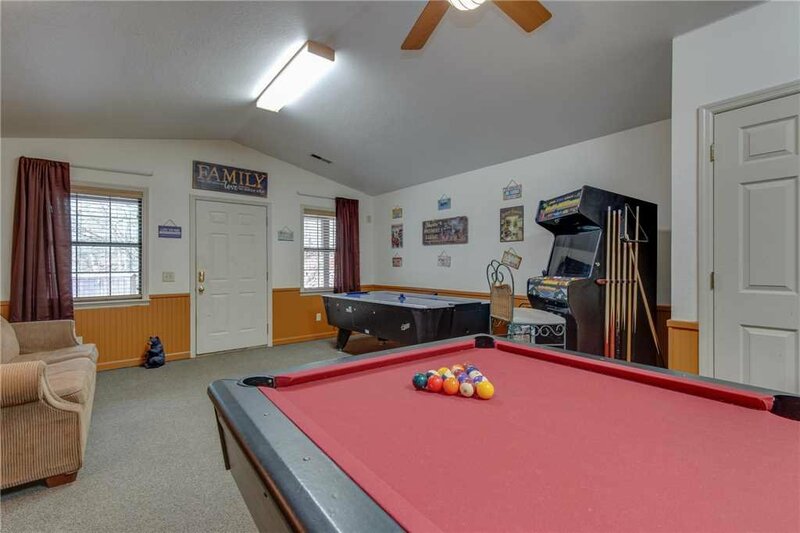 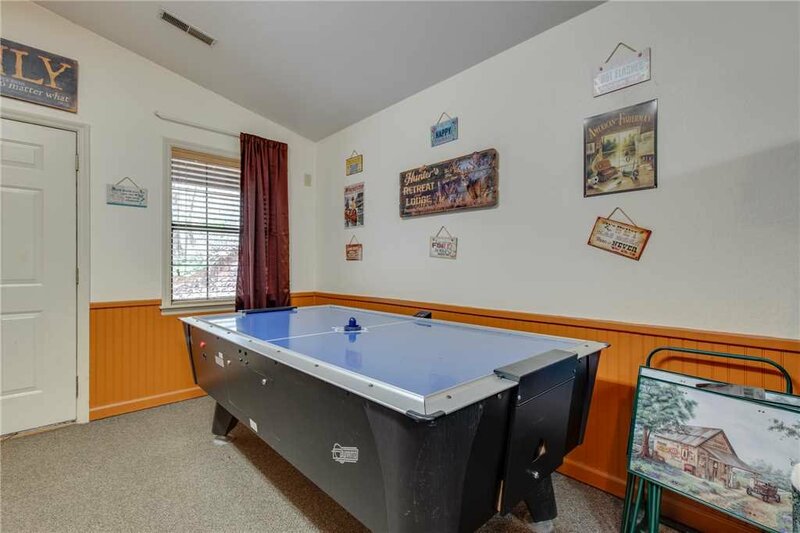 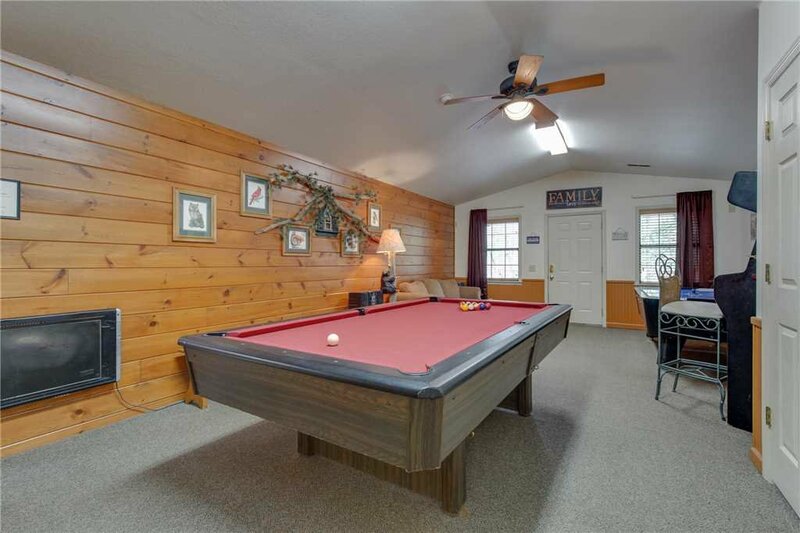 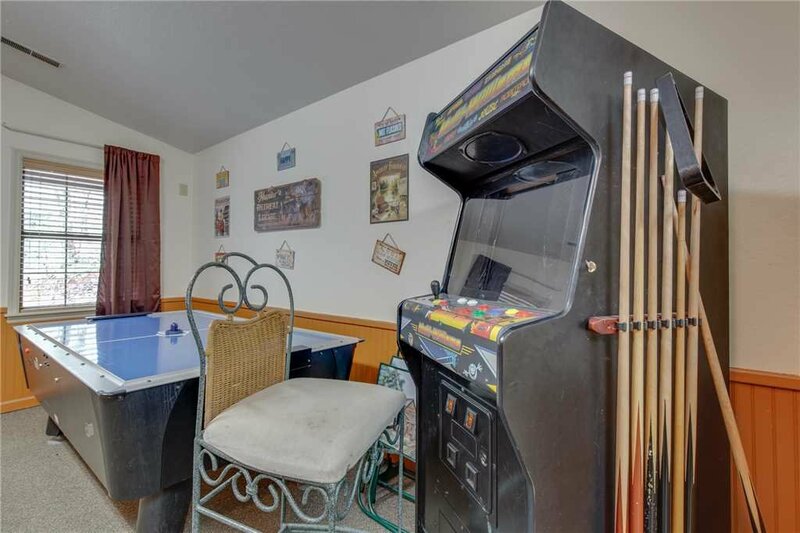 This retreat has a grand recreation room filled with a 7' air hockey table, pool table and arcade games. 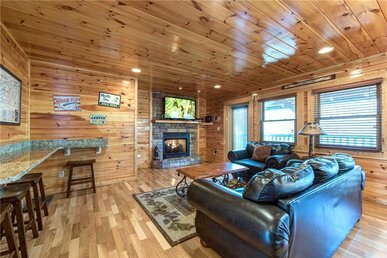 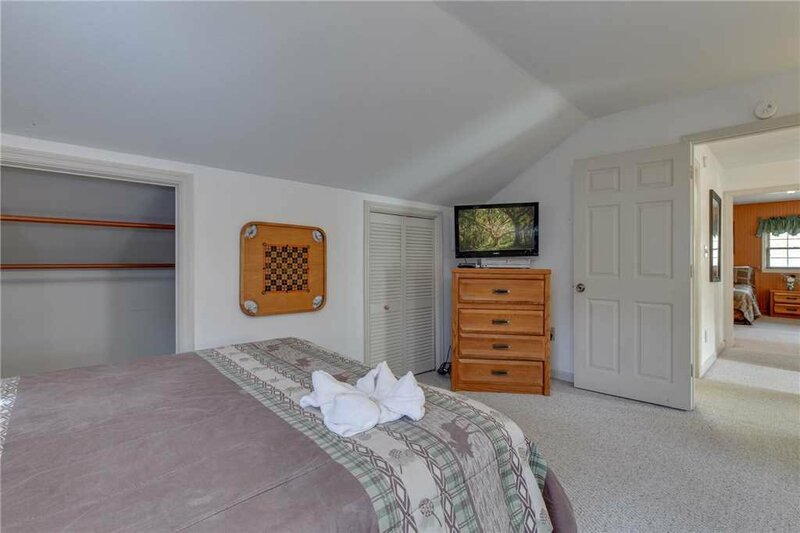 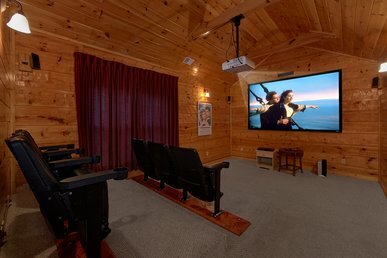 Adventure Lodge is the best non-smoking vacation house in the Gatlinburg area and accommodates all of your needs while you are on your vacation getaway. 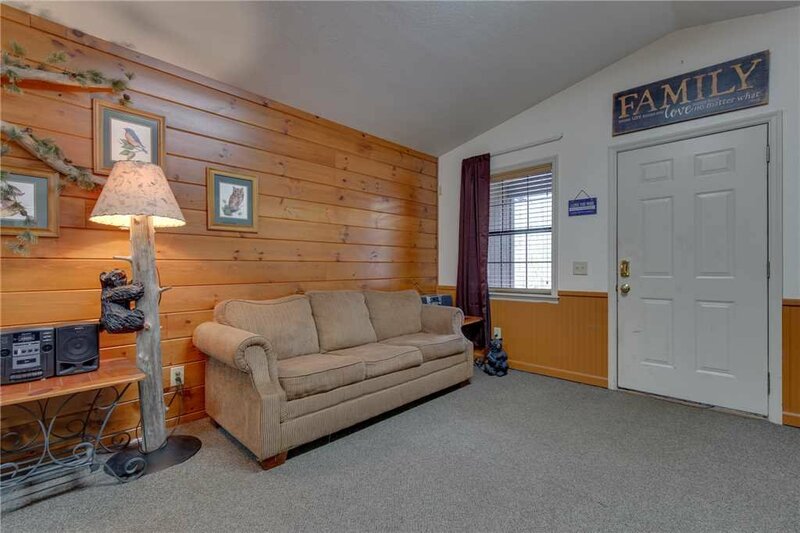 Can’t find a sitter for your pets? 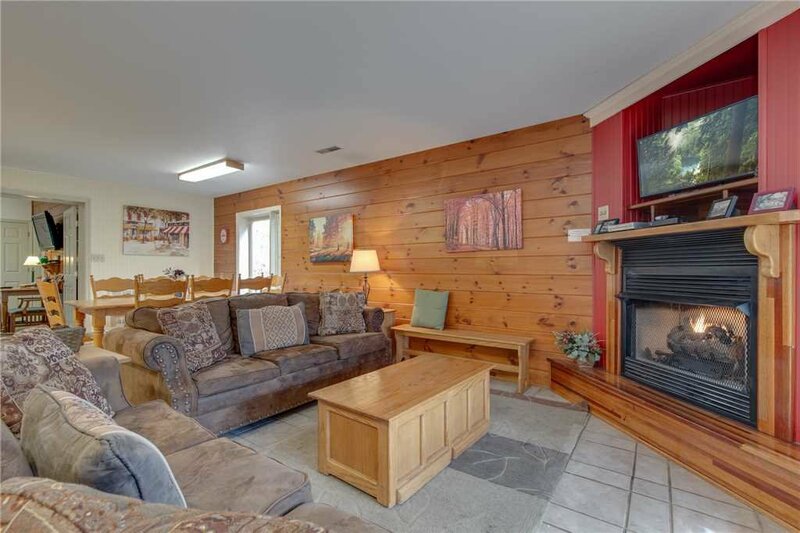 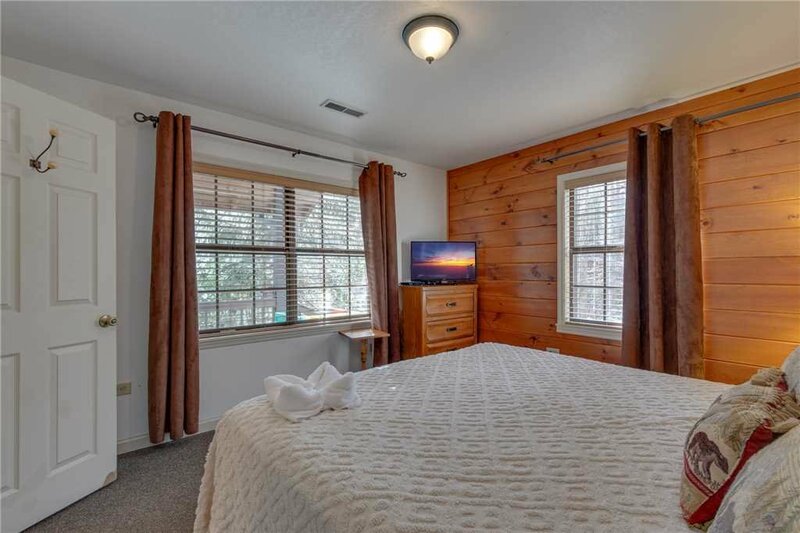 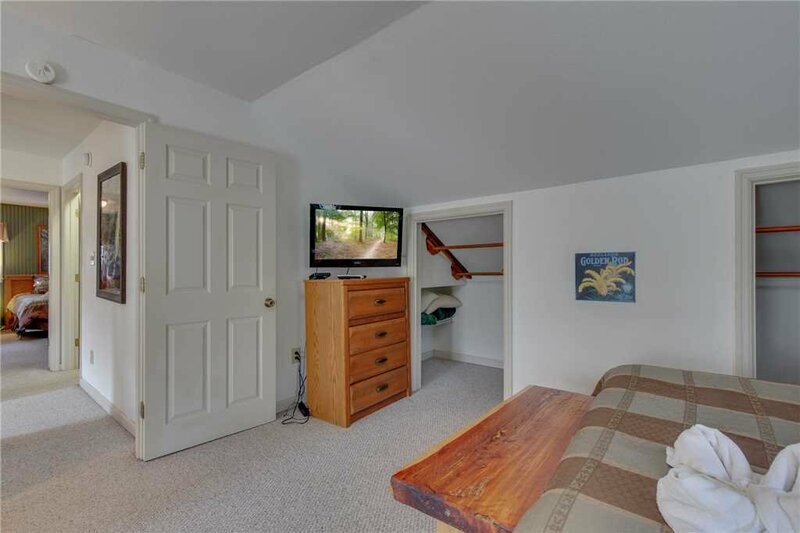 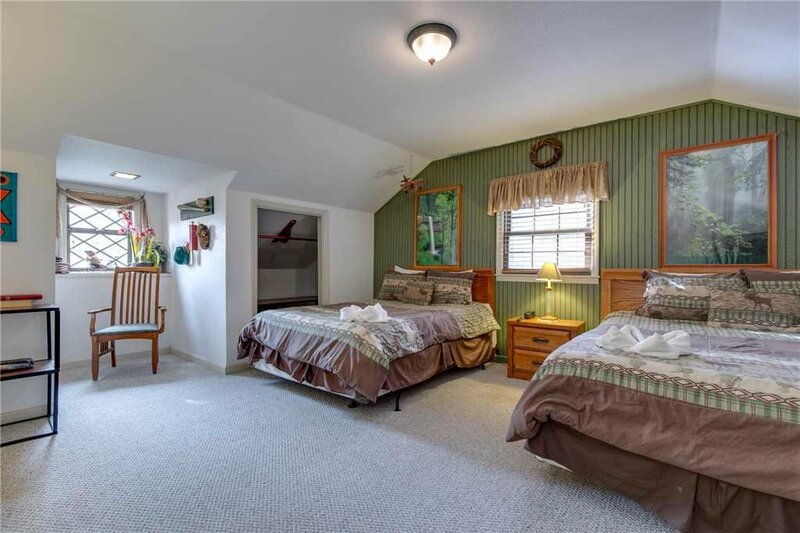 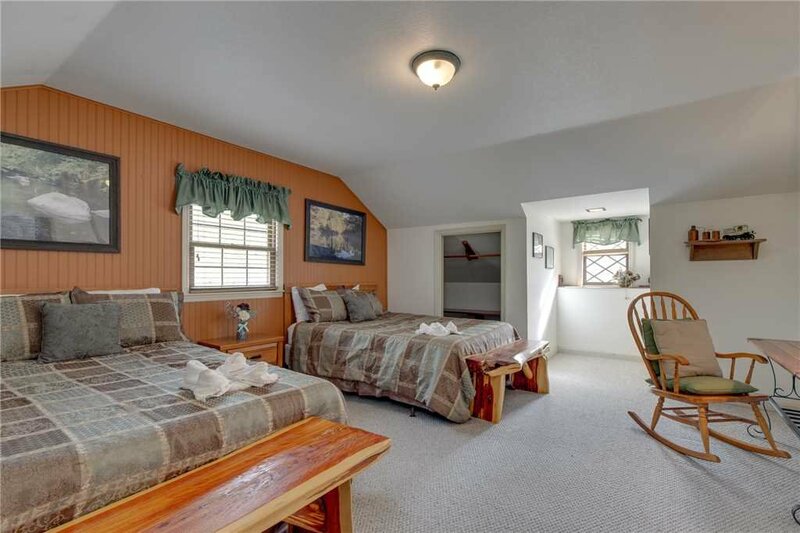 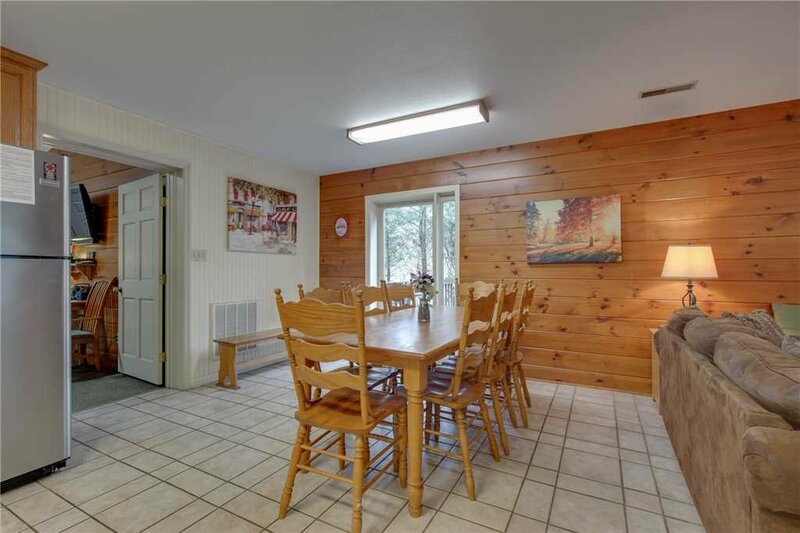 Adventure Lodge is pet-friendly and with four bedrooms and four bathrooms, there is enough space for everyone and everything you bring on vacation. 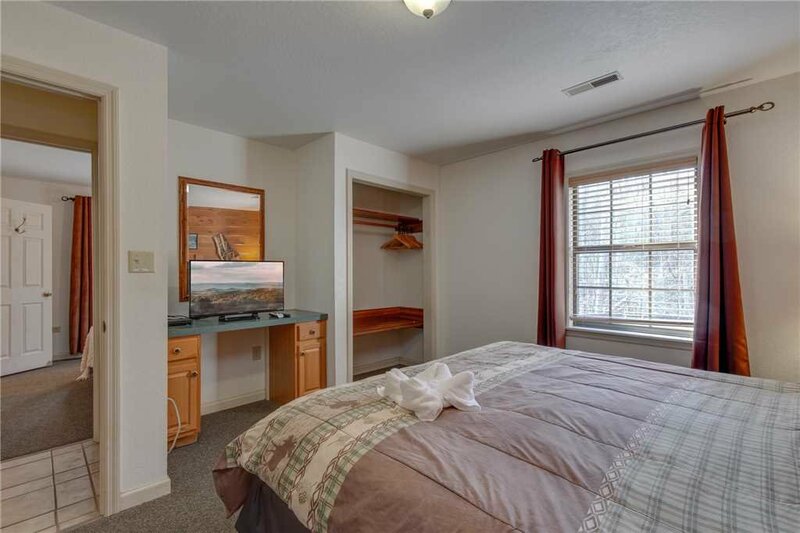 Call today to reserve your stay at Adventure Lodge.